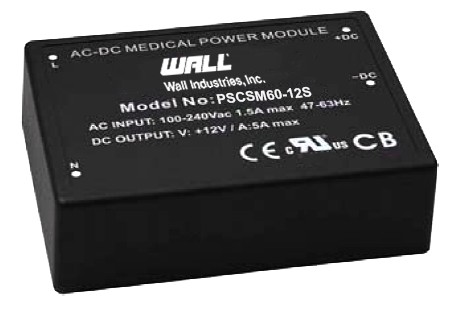 The PSCSM60 series of medical AC/DC power modules offers up to 60 watts of output power in a fully encapsulated 3.50” x 2.5” x 1.06” plastic case. This series consists of regulated single output models with a universal input range of 90~264VAC. Each model in this series features over current, over voltage, and short circuit protection, isolation class II and CE, CB, UL, and cUL safety approvals. Please call factory for order details. Notes: 1. 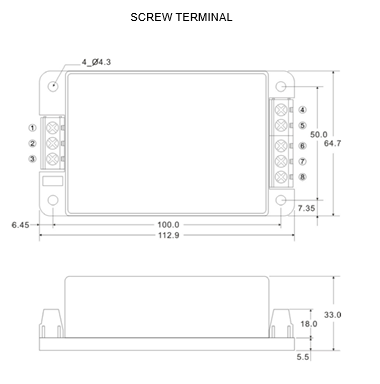 This product is not designed for use in critical life support systems, equipment used in hazardous environments, nuclear control systems, or other such applications which necessitate specific safety and regulatory standards other than the ones listed in this datasheet. 2. Ripple & Noise are measured at 20MHz of bandwidth with 0.1uF & 47uF parallel capacitor. 3. Natural convection is about 20LFM but is not equal to still air (0 LFM). 4. Safety approvals cover frequency 47-63Hz. 5. Radiation Class A for screw terminal series. 6. 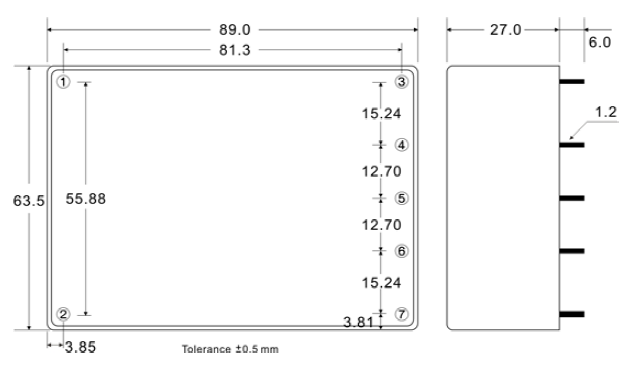 It is recommended to add Varistor 14S471K at L/N input side in parallel.